Very nice shape. Previously refurbished by TNT amusements. 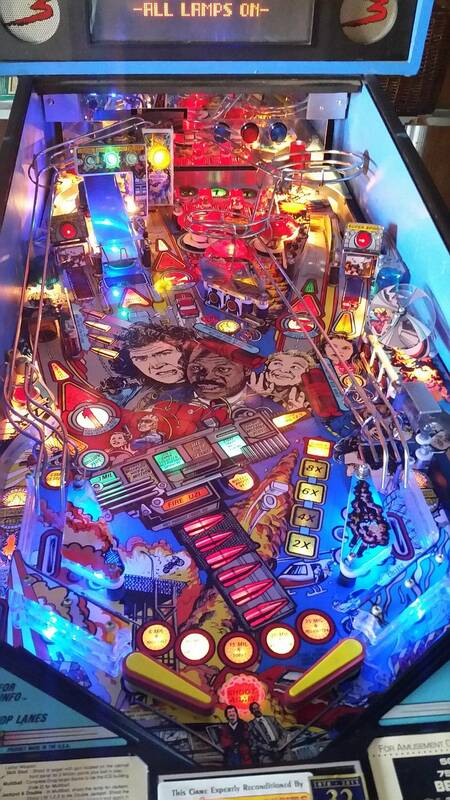 The playfield is very nice, the cabinet is very nice, the DMD is good with no lines or dots out and the boards look clean. Scattered LED's but not completely done. The game plays fast & as it should. This game has three different scoops, drop targets, stand up targets, ramp and a vertical up kicker. The game also features video modes where you shoot the gun against bad guys shooting at you and another mode where you flip the flippers rapidly to defeat the bad guys in a fight! The topper is a police light that works! 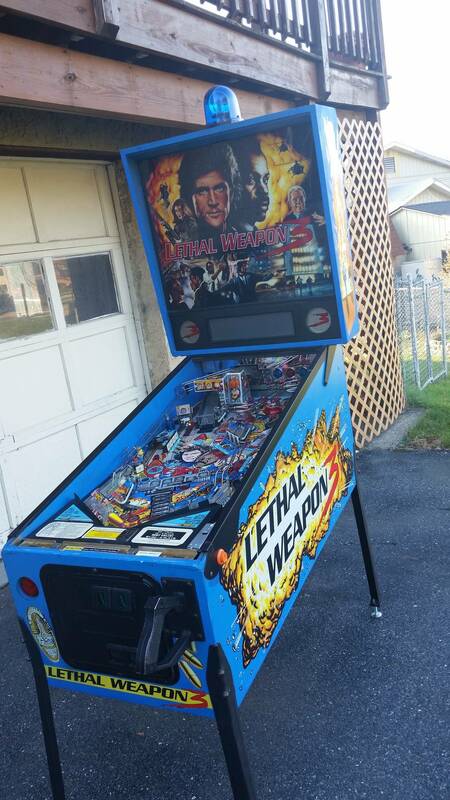 Open to trades for other pinball machines. Great Holiday gift for the whole family! Will ship for $250, but it wouldn't be able to go until after the New Year. Willing to work with someone you arrange and pay for. 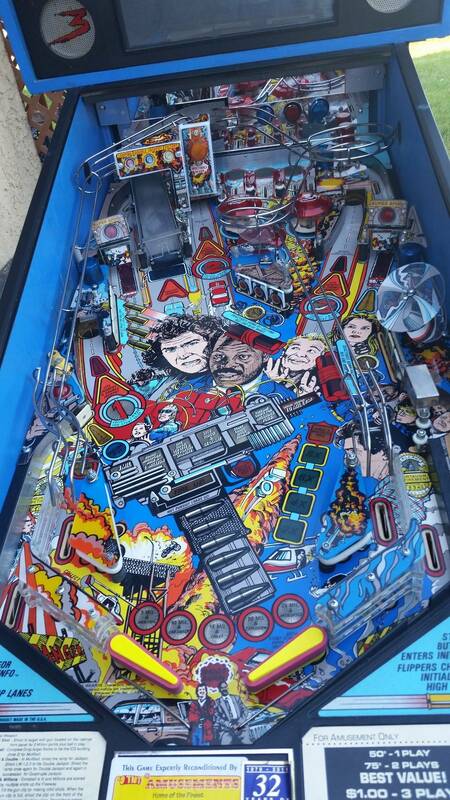 I also have a MAME arcade game with TONS of games on it that I can package with the pinball for an instant arcade in your house!